Do you miss giving out Valentine's at school? No? You don't miss a mandatory activity that somehow managed to still hurt some feelings? Weirdo! Well, now that you're an adult, you can reclaim the gifting of Valentine's Day cards by stocking up on these adorable versions and giving them to family members, friends, and co-workers who light up your life. Valentine's Day isn't (just) about couples, it's about honoring the people you love. Or it is now. 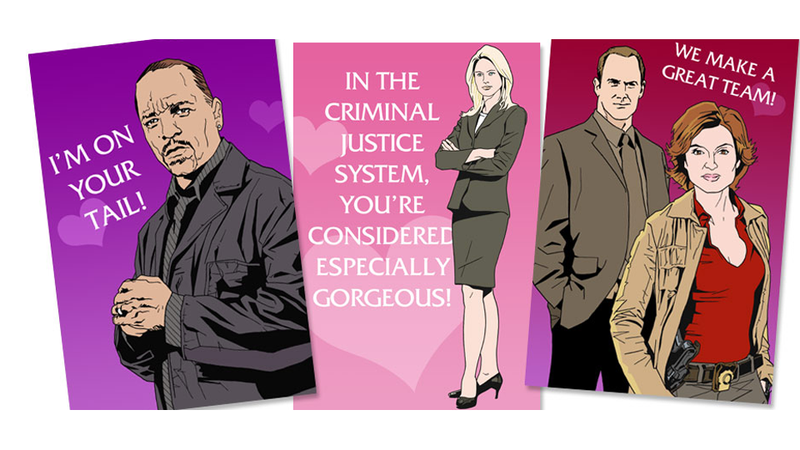 Since Valentine's Day is tomorrow, we (mainly) stuck to things you can print out, but some were too good to resist. Just order them now and give them out late, or next year. Or plaster your naked body with them this weekend and wait for that special Valentine to find you. You go, Glen Coco! Maeby you want to give these to people you love the most? You have the right to remain AMAZING. Dogs are the best. In fact, maybe give these to a dog, if you want. Please note: Some people (smart ones) would love to receive these year-round. For Firefly fans; we know you're out there because you never shut up about it. A large assortment of adorable valentines for the disgruntled. Your Valentine will enjoy these if they enjoy the show.